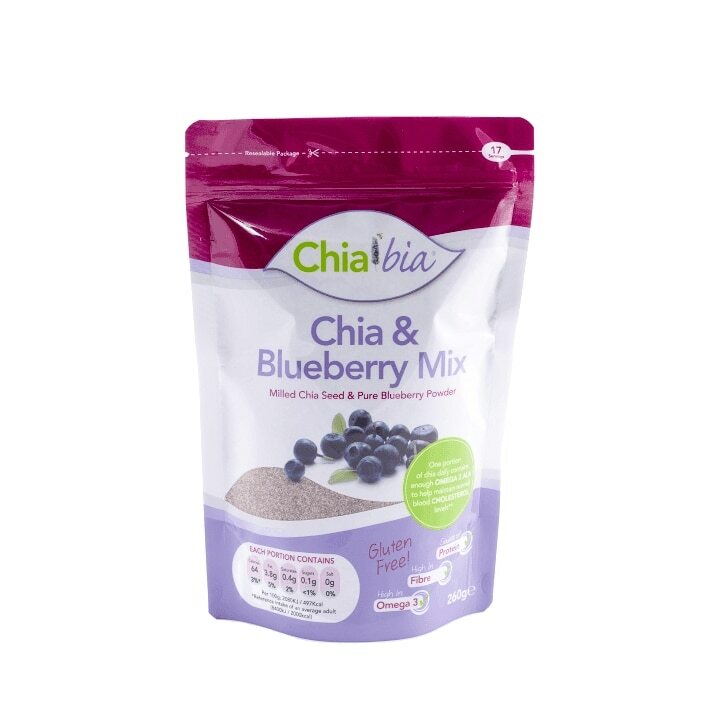 Chia Bia Chia & Blueberry Mix is rated 4.6 out of 5 by 21. Rated 5 out of 5 by Sarah7 from Breakfast treat I sprinkle a generous tablespoon full on my Weetabix each morning, healthy alternative to sugar, really tasty and good for you. Rated 4 out of 5 by Charl2000 from GOOD It's a good mix, although I can't really taste the blueberry flavour. I like to add it into my smoothie and my porridge. Rated 5 out of 5 by Housie01 from We weren't sure We have tried other brands but not this one and we are glad we have. Love this and delivered quick and at a great price.